Spring is in the Air Challenge. It's officially Spring now, so we need to see lots of Spring flowers and colours, to bring that sunshine back in your life. 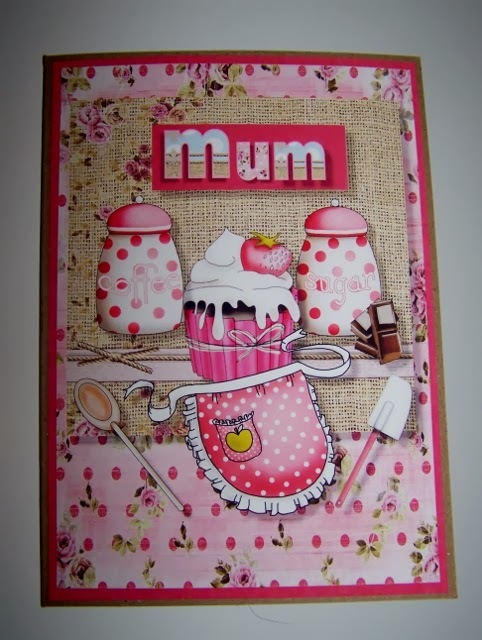 You could get those Mother's Day cards made (if you haven't already) and then Easter is not that far off either. Nikky has been at it again with another new release this week! Work and Play 2 Collection. And of course the fabulous Work and Play 1 is available too! In your email please quote the code PDWK10001 and you have two weeks to claim your prize! In no particular order our Top 4 (we couldn't narrow it down this week) are..
Well done everyone and don't forget your blinkies. Now for our fabulous DT inspiration. Anjie - On my card this week the image is from the new Work and Play 2 CD, as are the papers. I have added some die cuts and flowers from my stash. I have used a red distress ink on the die cuts and bottom flower. I have used the Dutch Doobadoo Mask/Stencil Art A5 - Flower Swirl to create the embossed panel behind the image. 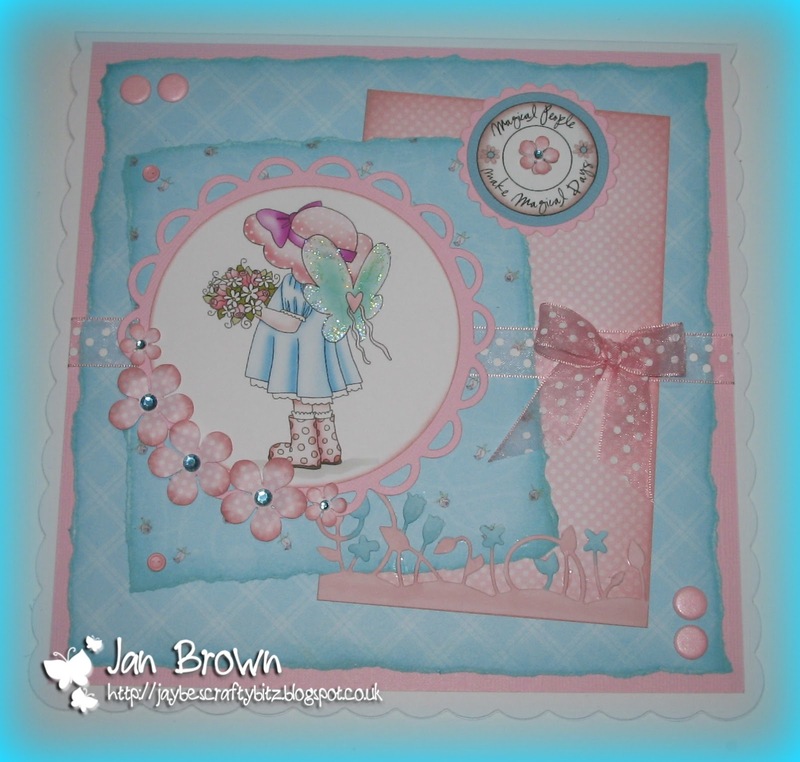 JAN - I used one of my all time favourite CDs this time to create my Spring themed card. All papers, image and elements are from the 'Sugarplum Daisy CD' with a little added ribbon, a die-cut and some flowers for extra embellishment. 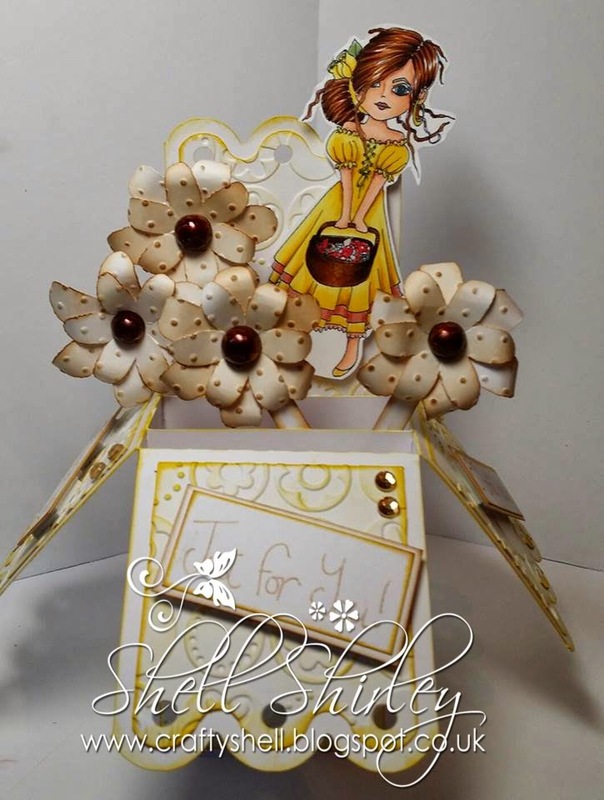 Sally - My card today hasn't any characters as I decided to do this lovely little flower pot card made from plain cardstock and papers from the Sugar Plum Daisy CD Rom. I cut out a template for the card and matted one of the papers on the front. I then cut out a border to go around the flower put to keep it together, I then added a tag and bow. 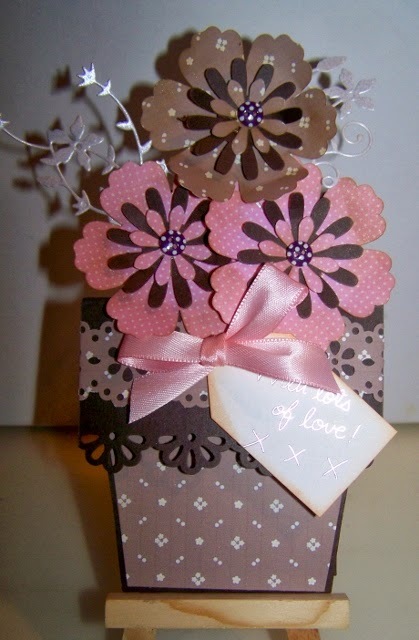 I then cut out some cream card and matted it on the brown cardstock for the flower tag. 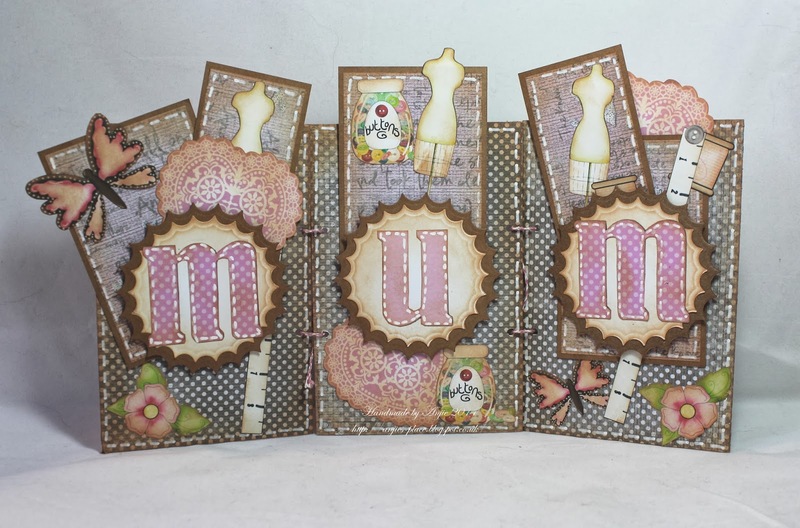 I stamped Happy Mother's Day at the bottom and then added my punched out flowers from the two background papers, added little buttons for the centres. I also die cut a flowery twine and cut it in half and put it at the back of the flowers. I really love how this has turned out. You have until Friday 4th April at noon GMT to enter - click HERE to take you to Mr Linky. So looking forward to seeing what you create! See you next week! Happy Friday and time for a new challenge! with something fabulous and brand NEW and it's top secret right now! It will be launched exclusively on the show so make sure you watch or hit record! same day, Tues 25th March at 11am and 1pm for another two hours which are mega exciting !!!! and she will be teaming up with someone else who we all know and love in the crafting industry - so make sure you watch these shows too because it is SO exciting!!!! 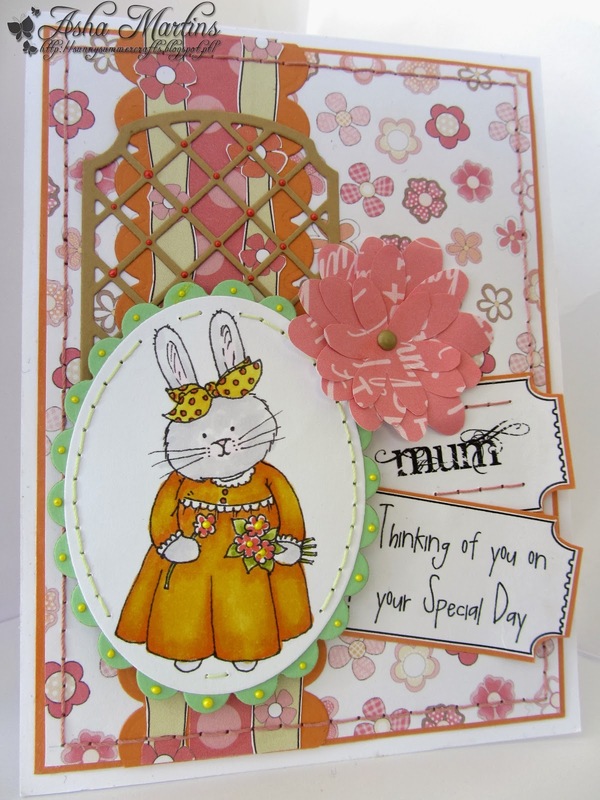 Yes, we want to see all your lovely spring/floral themed projects, a perfect opportunity to get those Mother's Day cards and Easter projects made! You have until 4th April to enter this challenge and the Random Winner will be announced here on 11th April. Our random winner for this challenge will receive a copy of our Work and Play collection worth £10! No 1 RIA - well done! Email us here to claim your prize and please quote Reference PD121 to claim your prize! Well done everyone, thanks for joining us and don't forget to grab your blinkies! Scatty Jan - ohhhh what great fun I had making my project this week - I cut out the wheelbarrow on my portrait and then I used the fantastic CD Bonbon Belles and cut out the flowers and the butterfly. 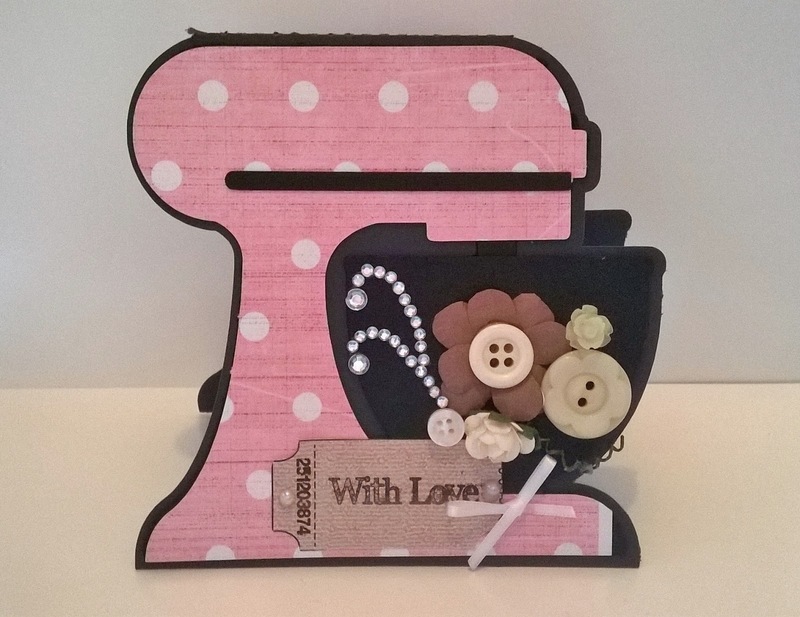 Bev here with this weeks DT piece a cute little shaped tag. It's made using the oh so versatile Sundae of Seasons CD Rom this is all printed out using one sheet! All I added from my crafty stash was a button, a bit of sparkle and some raffia around the handle. And here is a photo from the side. The layers on the box have been embossed and inked with distress ink...I went with yellow for this challenge cause it always reminds me of the daffs in spring. Looking forwards to seeing all your entries. Patty - I made a Birthday card using papers from Candy Doodles and the Girl is from Sugar Daisy I accent her colors using color pencils, then I stamped the flower from Fairy Flutterfly Stamps on pink and yellow CS cut them and put them together and added one Doodle Dewdrop to each of the flowers. 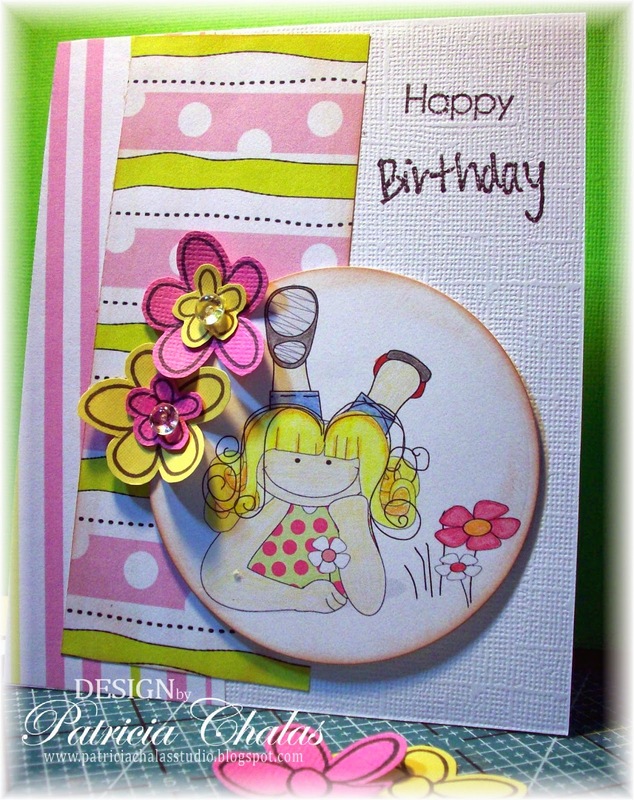 And finished my card with the Happy Birthday sentiment from the Stamp Doodles Rubbers stamps set. I had so much fun making this card and love how it turned out. Ruth: I've gone literally this week and made an exploding box with springy MUM letters! The papers are from Pen and Paper Circle issue 9 and I've used a Sizzix die to cut the letters and then added them to some craft wire which has been very much glued underneath the rolled flowers. I've added some clear doodle drop gems to the centres for extra sparkle - and they are reduced in the shop too! Hi everyone, welcome to another Friday at Polkadoodles. Yep, we want to see all your Mother's Day/Mum projects! 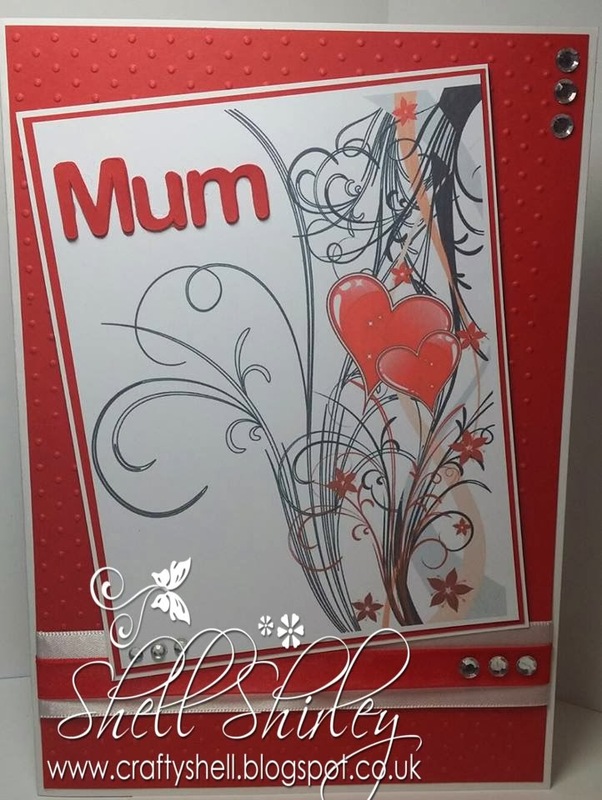 Mother's Day is sneaking up on us here in the UK, but you don't have to do a Mother's Day card, it could be a card for your Mums birthday, or your Grandma. Let's see what you come up with this time. Remember you don't have to use one of our products to enter but we'd love it if you did and you have until 21st March to enter! Don't forget Polkadoodles has a fantastic new collection available and shipping now which might also be great for this theme! It's an absolute snip at only £8.99! You can also get these adorable characters as digis from the store too on instant download! The prize for this fortnights challenge, Mum's the Word, is a copy of this fantastic collection! Wow! The winner and top 3 from our Week 8 Challenge Sugar and Spice, can be found at the end of this post. But first we have some wonderful DT creations for your inspiration. Bev here with my take on this weeks challenge. I've used a couple of Cd Roms this week. The backing paper, striped border and oval 'Mum' sentiment are from Dolly Daydream Girl Talk and Billie the gorgeous digi stamp is from Fredericka which I coloured in with Graph'it Markers the colours used are on my blog. A couple of die cuts and a bit of bling brings the whole thing together. Anjie - I have used a real mash up of products on this card. I started with 3 pieces of chip board and covered them in paper from the Wonderland CD-Rom. I distressed the papers with a distress ink and added faux stitching using the Graph'It Shake WHITE pen, which is a great pen. As you can see the colour is really strong and goes on in one go! I then created some panels using the same CD and technique. The letters are from the Magical Winter 2 CD-rom which proves the CD isn't just for Christmas. I have added the letters onto die cuts. I then printed out embellishments from the Sundae of Seasons CD-Rom and again used distress ink on them. And finally I printed out the heart shaped doilies from the All Around & Everywhere CD rom and distressed them too. I slightly altered the colours of the letters and doilies in a graphic program (MCS) to go with the project. I hope this gives you some inspiration to have a look through your older CD's and dust them off. Shell- For my card this week, I have used one of the older cd roms from Polkadoodles. I simply printed a topper of the Love & Cherish CD. The actual card took about 15 mins to make but I spent hours going over the cd and finding all the things I had forgotten about...I cut the MUM on my cameo then simply added a few gems and some ribbon. 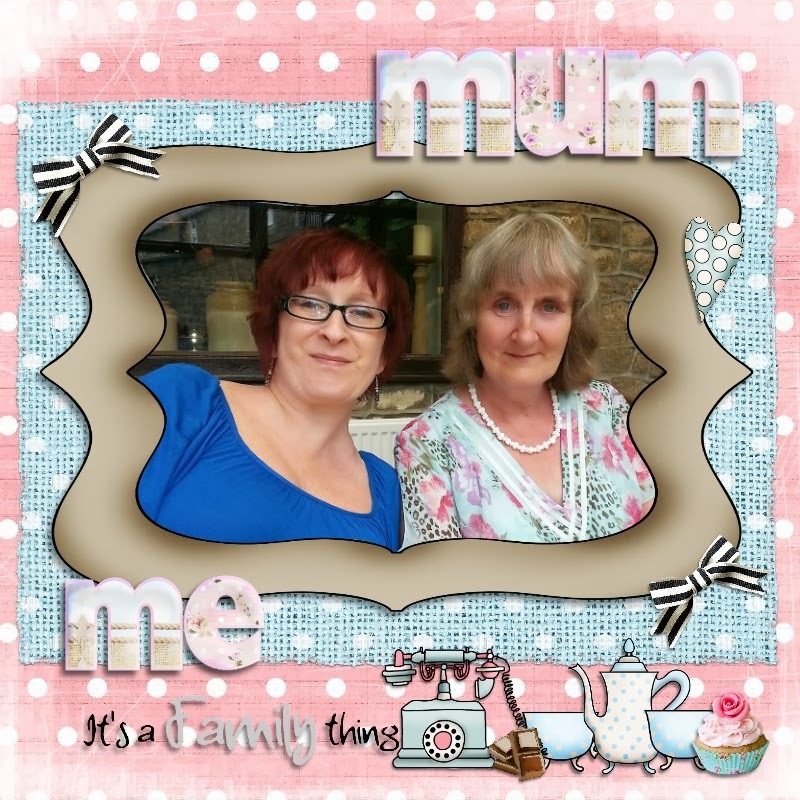 Susan - What a lovely challenge ,Mothers Day .I have used papers and an image from one of the new collections Girl Talk which is available on CD or download ,its an amazing bundle of everything you could wish for. 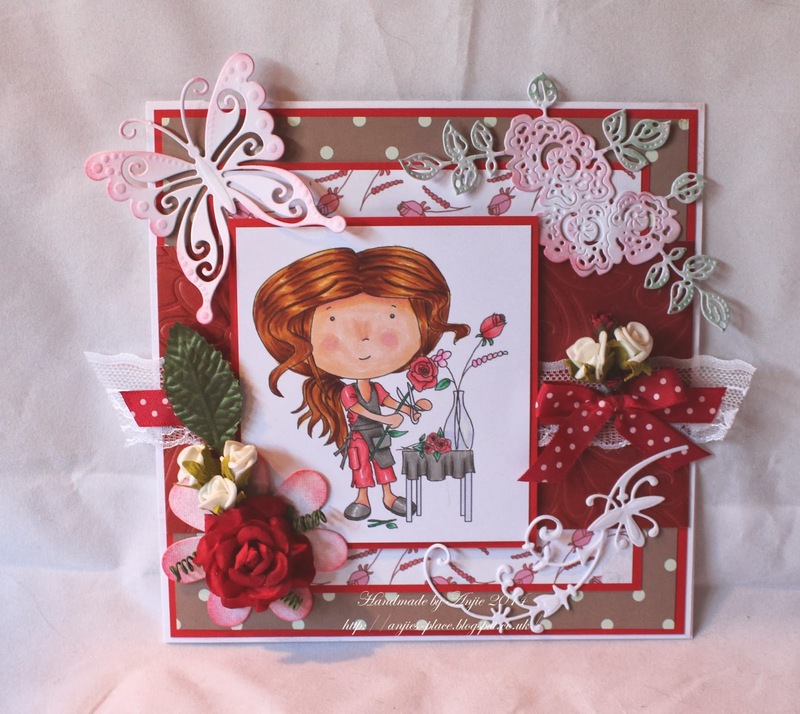 Ruth: I've gone back to Paper Boutique Vol 3 for my card! I printed all the elements plus some extra flowers in A5, cut everything out and then layered it up. The butterflies are chipboard that I've coloured with Promarkers. Sentiment tag is handwritten. Well done Jo! You've won a goody bag worth £50!! Email us here to claim your prize! Oh my goodness, can you believe it? We are already into March - where are the months going?! And of course it's Friday and we have a new challenge for you, for this fortnight. The winner and top 3 from our Week 7 Challenge Love/Romance, can be found at the end of this post. But first we have some wonderful DT creations for your inspiration. Alethea - Well it's not even close to Mother's Day here in Australia so I am going to be well prepared this year...LOL! 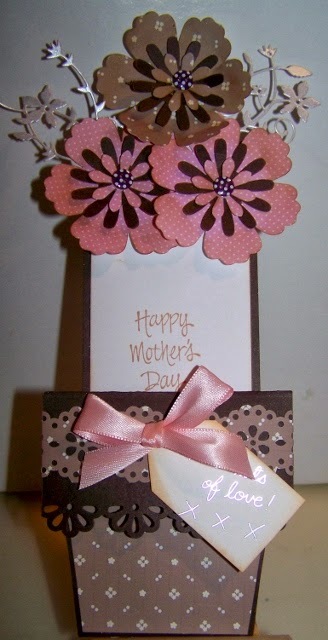 I have made a Mother's Day card using papers and elements from Bonbon Belles Double cd. 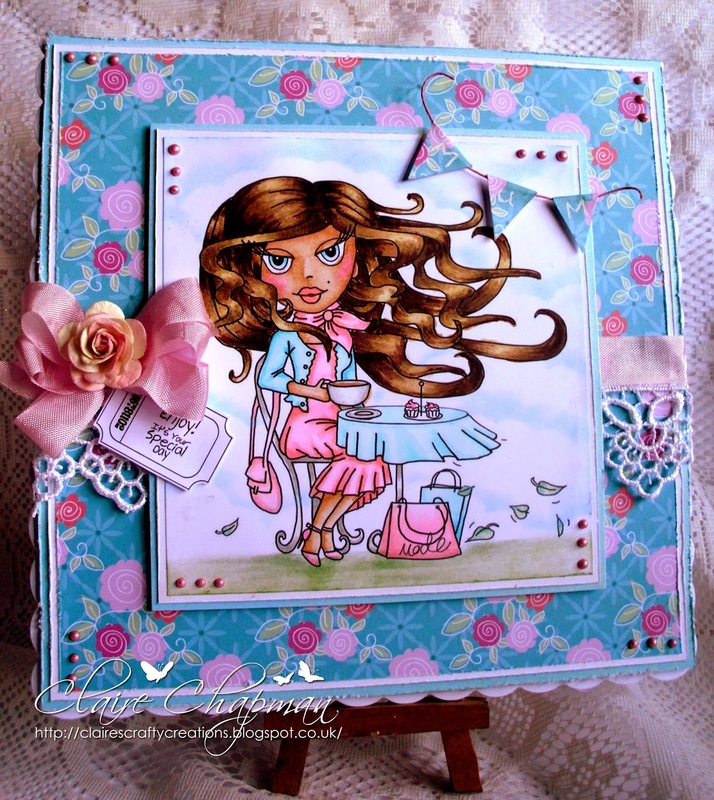 And this fab image Dollie Daydream - Bouquet digi is one of the new Dollie Daydream images which I coloured in with tria markers. Zoe - We had this photo taken at my parent's Ruby Wedding anniversary meal and I love it, so it was a perfect choice for me to create a scrapbook layout for this 'Mum' challenge. I used the gorgeous Studio 12 Picknix collection 1 (mainly the home set) I took the images into Serif Craftartist to create this layout using background papers, embellishments (our fav things - coffee, cake &amp; chocolate!) and a frame. I've saved it as a JPEG so that I can then print it out at my leisure to put into my memory book. 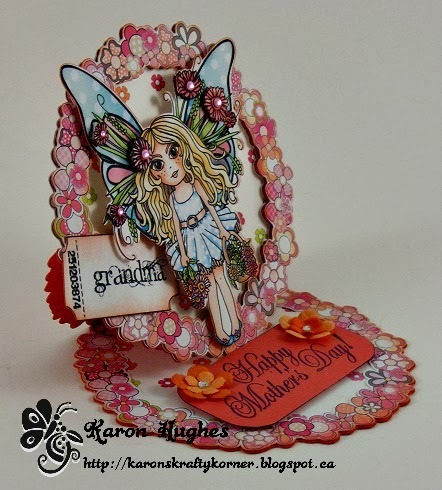 Karon - Well, with Mother's Day coming up - what a fabulous challenge to set. 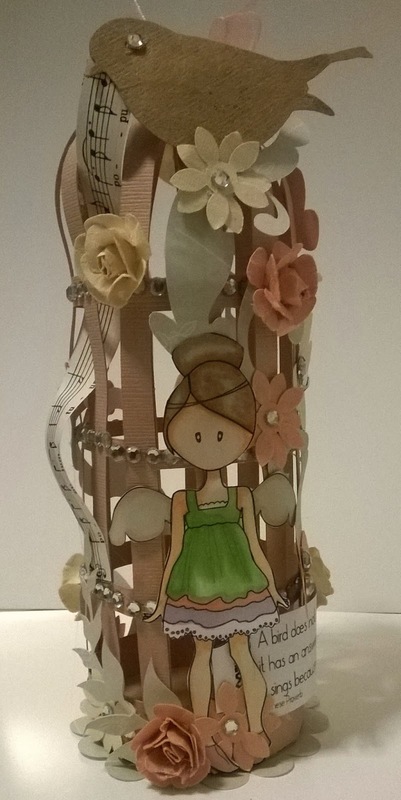 I chose to use one of the characters from the Bonbon Belles collection. The frame, character (pre-coloured) and sentiment are from this wonderful double CD and I decided to make a shaped easel card. The little floral paper is from the Sugar Birdies CD. JAN - I decided to go a little different this time and make a word book for 'Mum' using the lettering template from the 'Candy Doodles CD'. I used papers and images from the 'Cherryblossom Lane CD' to embellish, along with a few bits from my stash. Claire C I've used one of my favourite images from Dollie Daydream Girl Talk Collection, coloured with Graph'It Markers. The dp is also from the same collection. 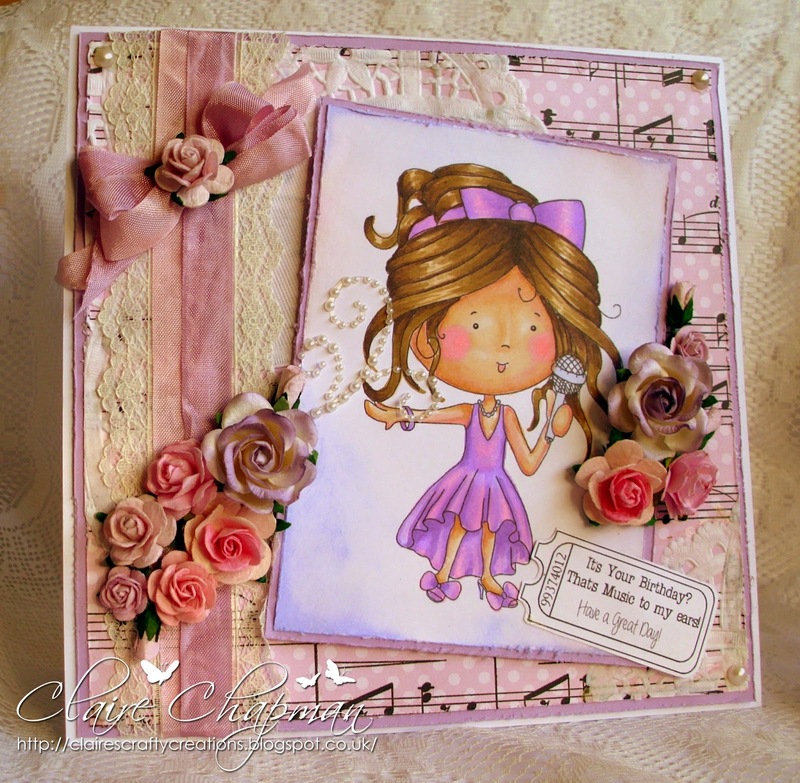 Asha - My card is a demo on the versatility of Polka Doodles products. I made this Mother's Day card - a commission from my 4 year old Goddaughter. In her words, she describes her mummy as "soft and cuddly, warm like the sun and prettier than all the flowers in the garden". Tall order, but I found all I needed from various CDs: Bunny and ticket tags from Cherryblossom Lane, background paper from Bonbon Belles, vertical floral panel from Sugar Birdies and the layered blossom from Dolly Daydream Girl Talk. Don't they all work together in perfect harmony? Kerrie With Mother's Day in a few weeks this Challenge is just right - I've used Papers and Digi Image (coloured with alcohol markers) from Digi Stamp Heaven - Fredericka CDrom I just love the Images on this CDrom and the soft tones in the Papers are so so gorgeous. 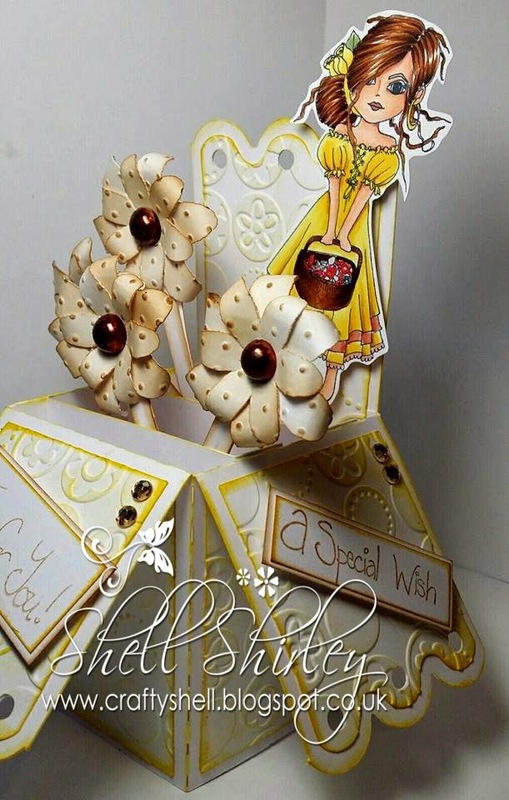 I have chosen Sentiments for this card using Dollie Daydream Goes East CDrom I love the phrases and words on there. The Lettering I have cut out using an electric Machine but using the Papers again for perfect colour matching. I like to mix and match between the CDrom's by Polkadoodles as they are all so versatile. Sally - This weeks challenge is Mums the Word! So I used my Picknix Collection1 CD Rom for a digitally crafted card this week. 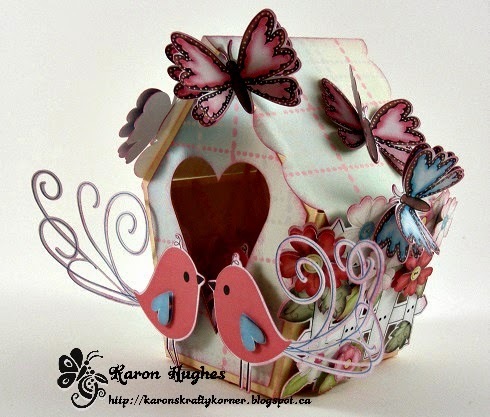 I took the Welcome Home Section into My Craft Studio and chose all my papers and embellishments to create this card. I am really pleased how it turned out. Well Done! Email us here to claim your prize. Well done everyone and don't forget to grab your blinkies! the Mum's the Word Challenge and please make sure you follow the rules.